Should Mobile Tech For Kids Become More Of A Reality? It seems like it was just yesterday that the Game Boy came out, and everyone and their mothers were going crazy for the new device. Nowadays, it isn’t strange to see a child of age 9 or 10 walking around with an iPhone or a tablet. It’s no secret that both of these devices are fairly . . . → Read More: Should Mobile Tech For Kids Become More Of A Reality? Is Apple Thinking About Making An Android Phone? Steve Wozniak, co-founder of Apple, dropped a pretty crazy and neat idea while speaking at the Apps World Conference in San Francisco. He said that Apple may want to consider getting into the Android market, and offering a completely Android based Apple phone. The idea apparently comes from a fear of becoming the next BlackBerry and . . . → Read More: Is Apple Thinking About Making An Android Phone? Will The New iPhone 6 Be Bezel-Free? Sometimes, it can be the little things that get us through the day. It can be as simple as a smile, a friendly nod, or the latest news at the water cooler. Gossip and rumors, much like money, help make the world go round. When a product, especially one from Apple, is announced, we can expect . . . → Read More: Will The New iPhone 6 Be Bezel-Free? 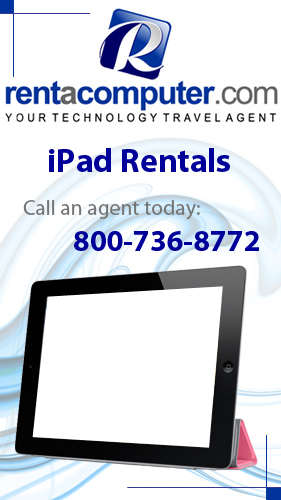 Tablets have become a very popular product for travelers. Businessmen and tech travelers alike have been attracted to tablets as a way of keeping all their necessary computing needs with them on the go while maintaining a very portable device. Tim Cook, CEO over at Apple, recently dropped a few hints at a potential new product category that could be coming to the Cupertino tech giant. During last month’s earnings call Cook, according to analyst at Morgan Stanley Katy Huberty, revealed some information that Huberty believes points to a new wearable technology market for Apple.